From ubiquitous surveillance to drone strikes that put "warheads onto foreheads," we live in a world of globalized, individualized targeting. 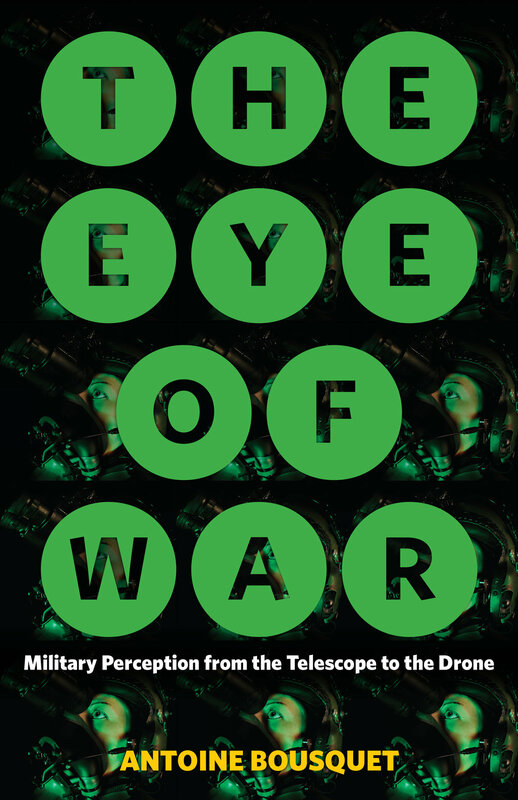 In The Eye of War, Antoine Bousquet provides both a sweeping historical overview of military perception technologies and a disquieting lens on a world that is, increasingly, one in which anything or anyone that can be perceived can be destroyed - in which to see is to destroy. Arguing that modern-day global targeting is dissolving the conventionally bounded spaces of armed conflict, Bousquet shows that over several centuries, a logistical order of militarized perception has come into ascendancy, bringing perception and annihilation into ever-closer alignment. The efforts deployed to evade this deadly visibility have correspondingly intensified, yielding practices of radical concealment that presage a wholesale disappearance of the customary space of the battlefield. Beginning with the Renaissance’s fateful discovery of linear perspective, The Eye of War discloses the entanglement of the sciences and techniques of perception, representation, and localization in the modern era amid the perpetual quest for military superiority. In a survey that ranges from the telescope, aerial photograph, and gridded map to radar, digital imaging, and the geographic information system, Bousquet shows how successive technological systems have profoundly shaped the history of warfare and the experience of soldiering. "This wonderfully erudite genealogy of the increasingly precise ways in which the linkage of military perception and weaponry has brought us to the point where being detected puts one within a spatio-temporally fine-grained 'kill box' is fascinating and important. Ranging over hundreds of years of documents, beginning with telescopes and ending with the overlap of light and death in the laser, Bousquet’s work will be both at the forefront of security studies and a crucial addition to the knowledge base of concerned citizens." "The Eye of War is a masterful contemporary history of the martial gaze that reviews the relation between seeing and targeting. The expansion of ocularcentrism — the ubiquitization of vision as power — Antoine Bousquet shows us, coincides with the inverse: the relegation of the eye to an instrument of a war order that relies on the sensorium as the means to its own ends. As he traces the development of a technocracy of military vision, Bousquet discloses the vision of a military technocracy that has transformed the given world into units of perception indistinct from 'kill boxes.'"